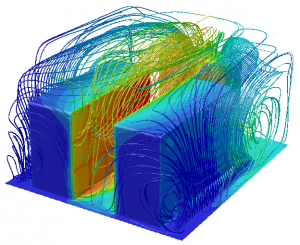 Heat transfer problems arising in different innovative cooling technologies are investigated, leading to the development of ad-hoc numerical models for the analysis, design and optimization of new thermal management systems. A two-phase thermosyphon is a cooling device which consists of an evaporator, attached to the system requiring cooling, and a condenser typically consisting of a set of fins among which air is allowed to flow. The evaporator and the condenser are connected by a pipe in which a mixture of liquid and vapor phases is flowing. As no pumps are needed to move the refrigerant fluid from the evaporator to the condenser, the resulting thermo dynamical efficiency of such two-phase cooling systems is remarkably superior to that of water-cooled or air-cooled systems and especially suitable for power electronics applications. For a computational tool to be used in industrial design and optimization procedures of such systems computational efficiency is a stringent requirement therefore model complexity needs to be suitably reduced leading to models that are multiscale in nature. A numerical methodology for the incremental redesign of small- and medium-size data centers has been developed in order to improve the energy efficiency. The methodology is based on an integrated optimization platform which addresses both performance and energy costs. In particular, the CFD and heat transfer module for the evaluation of the thermal footprint of the different data center configurations has been developed at MOX. This research activity has been carried out in the framework of the Energ-IT project in collaboration with the DEIB Department of Politecnico di Milano. Thermal management techniques based on ionic wind devices are particularly attractive for the cooling of electonic components. A multiphysics numerical model for predicting the performance of such devices has been developed, with a particular care in the accurate prediction of the amount of charge injected at the corona electrode. 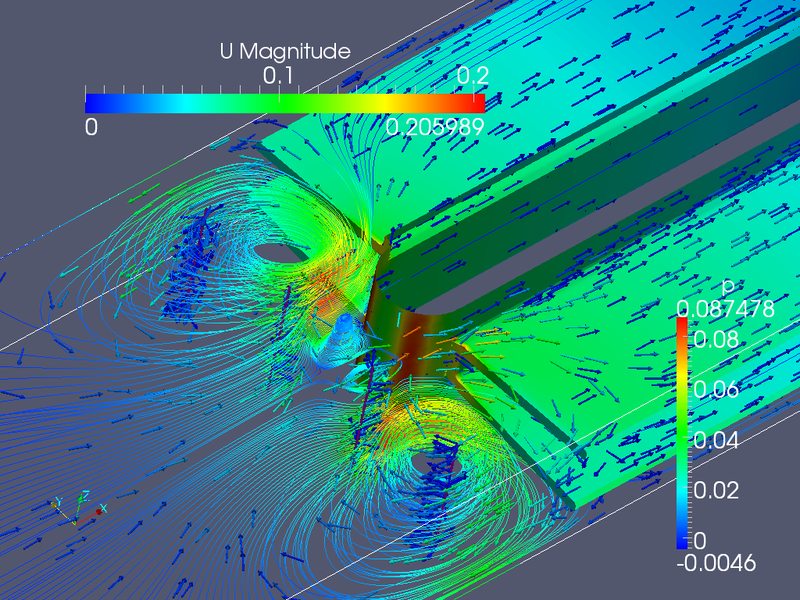 The model is based on the solution of a highly nonlinear strongly coupled set of PDEs including the Navier-Stokes equations for fluid flow, Poisson’s equation for electrostatic potential, charge continuity and heat transfer equations. In the framework of an industrial collaboration with ABB, we have developed a simulation tool for the assessment of the performance of electro-hydrodynamic cooling systems for power electronics applications. View a list of publications related to heat transfer problems.